Dustin Valette began his culinary career at 13 washing dishes at Catelli’s in his home town of Geyserville, California. Now, more than 20 years later, Valette finds himself back in Northern California’s wine country continuing the dream that started some 22 years ago. Valette honed his craft in some of the most celebrated restaurants on the West Coast, including the Michelin-starred Aqua in San Francisco, and Napa Valley’s Bouchon. 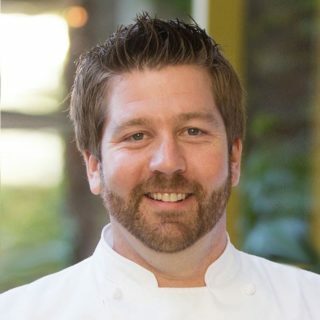 For the past 6 years he was the Executive Chef of Dry Creek Kitchen, a Charlie Palmer restaurant in downtown Healdsburg. Dustin gathered great acclaim for his strong relationships he cultivated with local farmers and purveyors in order to provide the restaurant with the area’s freshest and most unique ingredients. The idea of Valette Restaurant started some 15 years ago amongst two brothers, Aaron & Dustin. Over a glass wine the two dreamt of opening a restaurant that showcased all Sonoma County has to offer. It would serve honest food, have amazing service and house a collection of boutique-small production wines. Now, with over 47 years combined experience Valette opens for the public to come and share the passion and dedication of the two brothers.